Cesar Tapia | Team Biographies | Burrill Green corporate security consultants. Cesar Tapia has over 30 years local and international corporate security experience. From 1980 - 1990 he built his reputation in the public sector, beginning at the Judicial Institution "Organismo de Investigacion Judicial (OIJ)", the most important Investigation Corp in Costa Rica. He worked as a Judicial Senior Investigator (Homicides, Frauds, and Crime Scene Investigation), and also handled Intentional Fire, Aircraft Accidents and Post-Blast Investigation. From 1990-1998, now in the private sector, Cesar enjoyed success with Consultancy and Security Services (CSS) a Costa Rican company, now owned and integrated by Securitas. He was responsible for Airport Security Operations as operation manager. He also developed and implemented Security Maritime Port operations for Shipping Cargo operations; guided and conducted an electronic surveillance systems project for 14 months (CCTV, Alarms, Access Control); and finally was assigned as Security Auditor for Shipping Cargo Operations at the main ports in the Latin American region. From 1998-recently he worked as regional head of security with BAT Caribbean and Central American in Costa Rica and five countries in Central America, included Honduras, Guatemala and El Salvador. In 2005 he was called to coordinate security issues in Caribbean territories and Central America, including Jamaica, Trinidad and Tobago, Guyana, Suriname, Dominican Republic, and 24 other small islands, managing 12 local security managers. In 2006 he developed and implemented a very successful Anti-Illicit Trade program. He then implemented Business Continuity Management, supervising and guiding the BCM program in BAT CCA (34 end markets) as the BCM Facilitator. Cesar Tapia is an Executive Director of ACES (Costa Rican Association of Security Enterprises), an active member of the British Chamber of Commerce in Costa Rica), the American Chamber of Commerce. Chairman of ASIS Chapter 271 Costa Rica) and honor member of the National Association of Criminalistics (ANIC). A native Spanish speaker, he also speaks English. His areas of expertise include: Investigations and Due Diligence; Intelligence; Physical Security; Security Operations (recruiting, training and developing security officers); Risk Management; Business Continuity Management; Information Security and Anti-Illicit Trade. 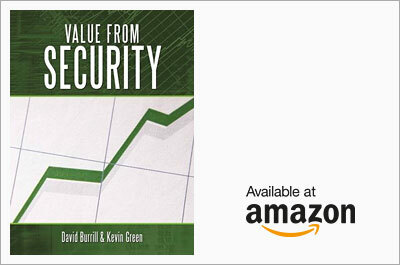 This book "Value From Security" demonstrates what security's real capabilities are, and what needs to be done to realise them. The experiences presented have occurred in real organisations, globally, that are reaping the rewards of being at the vanguard of this new approach to security management. 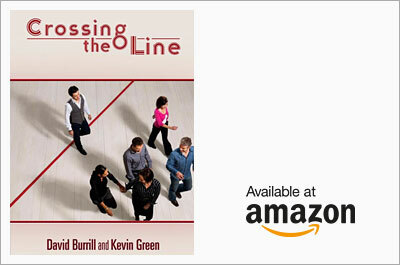 "Crossing The Line" is about crossing the very real line that separates the worlds of public and private security and risk management. It is a guide for key players who are thinking of switching sectors and roles and moving from one kind of organisation and operating culture to another often significantly different one. We are global security management consultants specialising in the creation of added value for organisations through leading proven corporate security practices. Burrill Green Group Services also include senior executive search and selection services, career development, coaching, training and mentoring services.